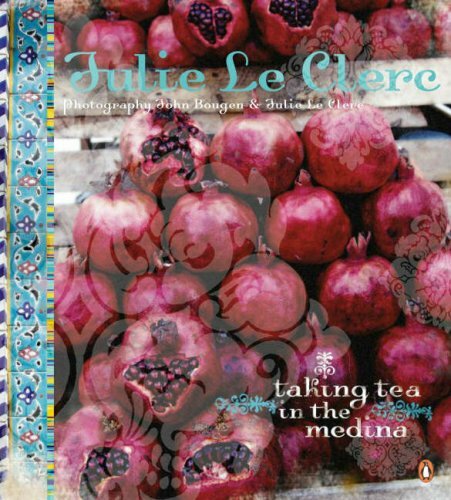 "Taking Tea in the Medina" flows joyfully from the author's journey around the Middle East, searching for authentic recipes and stories. Julie Le Clerc's enchantment with this exotic region began as a child and she has never lost her dream of visiting Lebanon, birthplace of her great-grandfather, and the countries surrounding it. From Iran to Jordan, from Egypt to Azerbaijan; pillows of pita bread hot from the oven, pastries dripping in syrup and delicately fragrant teas, jewelled rice dishes and plates of spicy meats. Pomegranates and rose water, sumac and saffron - the ingredients themselves are bewitching. Put them all together and savour the results. Julie was joined by John Bougen, another devoted traveller, as they journeyed with friends through the Middle East, talking to cooks and tasting their food, collecting images, stories, recipes and memories.